Good performance, great gas mileage, and a low tax base. The vehicle gets low gas mileage. There is pretty good performance. The state and county taxes are relatively tax. I bought it used from a person who was looking at a different kind of vehicle. I have had problems with it because of possibly age, but the performance has been great. I have changed the fuel pump, the water pump, the radiator reservoir, the wheel bearings in the front, and had to put a bearing in the balance. It gets good gas mileage (about twenty six miles to the gallon). It is light weight. The most important thing others should know about my car is that I am proud of it and keep it up as well as possible. It is the first one I ever decided upon myself. I have liked my Chevy Malibu pretty well, however it is getting older now. I like the size in general, but there is very little space to hold things in the front seat. This becomes a problem with the amount I would like to have in reach when I am in the car. The gas mileage used to be better than it is now. I prefer mileage I used to get. Perhaps it is a tire issue, as I believe I need new ones. It could use a paint job, as well. I like the ease of driving with this model. Certain passenger vehicles fail to conform to Federal Motor Vehicle Safety Standard No. 108, "Lamps, Reflective Devices, and Associated Equipment." Some of these vehicles were produced with a left low-beam headlamp that does not meet the photometric performance requirements of the standard. Light intensities below the minimum intensity requirements cause reduction in visibility down the road for the driver of the vehicle and intensities above the maximum intensity requirements cause increase in glare for drivers ahead of or approaching the vehicle. Dealers will inspect the left low-beam headlamp and replace the headlamp if it does not meet requirements. The manufacturer has reported that owner notification began May 23, 2002. Owners who do not receive the free remedy within a reasonable time should contact Chevrolet at 1-800-222-1020. This defect can affect the safe operation of the airbag system. Until this recall is performed, customers should remove all items from their key rings, leaving only the ignition key. The key fob (if applicable), should also be removed from the key ring. 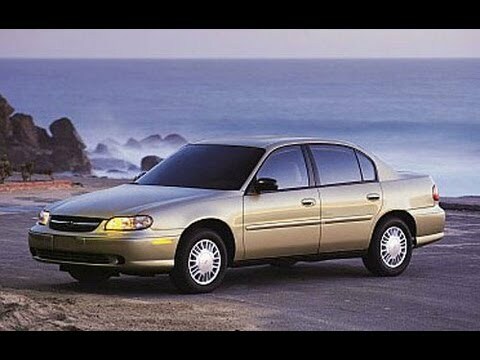 General Motors LLC (GM) notified the agency on July 3, 2014, that they are recalling 6,729,742 model year 2000-2005 Chevrolet Impala and Monte Carlo, 1997-2005 Chevrolet Malibu, 1999-2004 Oldsmobile Alero, 1998-2002 Oldsmobile Intrigue, 1999-2005 Pontiac Grand Am and 2004-2008 Pontiac Grand Prix vehicles. In these models, the weight on the key ring and/or road conditions or some other jarring event may cause the ignition switch to move out of the run position, turning off the engine. GM will notify owners, and dealers will provide two replacement key rings and key cover on all ignition keys, free of charge. The manufacturer has not yet provided a notification schedule. GM's number for this recall is 14350.